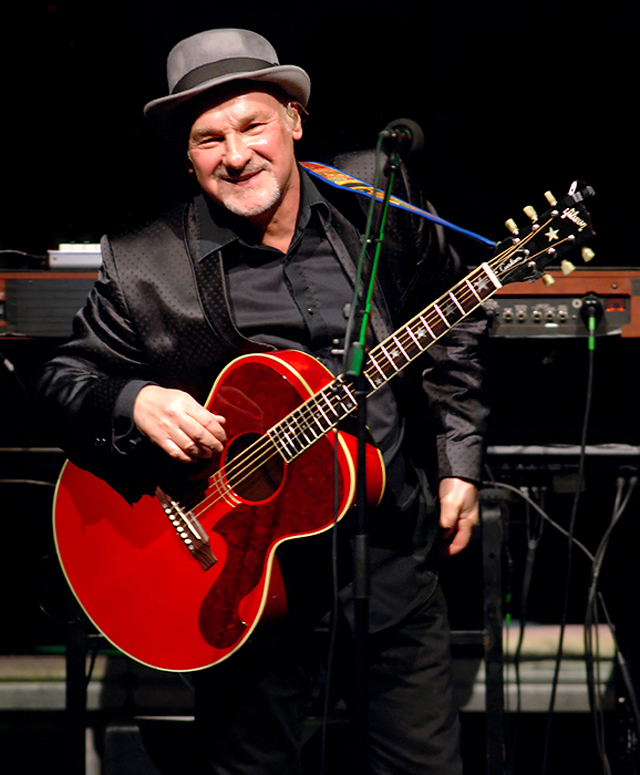 Share the post "Gig review: PAUL CARRACK – Waterside Theatre, Aylesbury, 1 December 2013"
Sunday night in Aylesbury isn’t necessarily a term that fills one with excitement. However, any such doubts can be put aside on realising you’re going to watch one of the greatest white soul voices to have emanated from the UK do his thang. It’s also only really when you sit down and hear him introduce, then play, each song in turn that you realise how varied that career has been: I’d all but forgotten that he co-wrote several songs on the Eagles’ comeback album ‘Long Hard Road Out Of Eden’, but he chuffing well did, and they get an airing tonight, each slightly more sublime than the next. 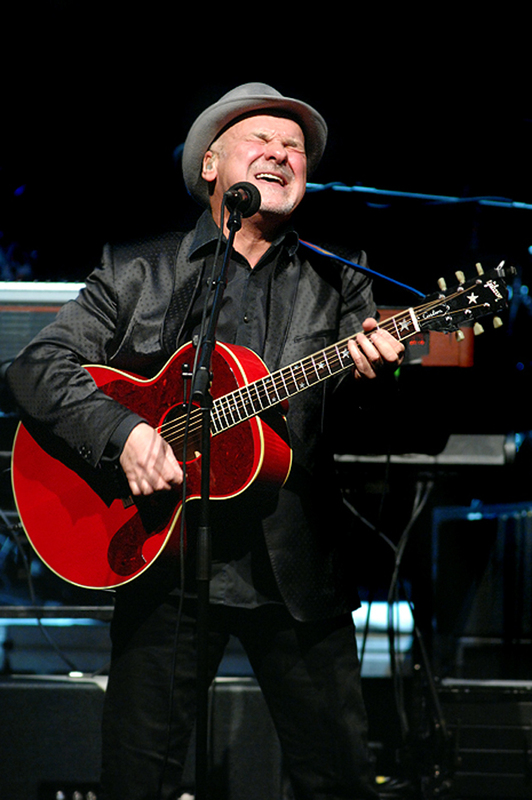 Conversely, his most recent album ‘Rain Or Shine’ combines originals with standards: ‘I’m Losing You’ and ‘You Don’t Know Me’ represent the latter group, the last-named actually revealing itself, possibly due to Carrack’s subtle arrangement, as a slightly more sinister song than many would realise. Or maybe that’s just me – being a horror writer when not doing this, I always seek the dark, sinister elements in music, and usually tend to find them. On the flipside ‘That’s All That Matters To Me’ (dedicated to his daughter) and ‘Life’s Too Short’, both from his own pen, are by turns both reflective and yet positive, uptempo: detractors have found this an irksome quality in both Carrack’s own oeuvre and those of the bands he has fronted, often accusing him of blandness. But, even as one with dark sensibilities, I say when there are so many other writers specialising in dark, confrontational material, there should be at least one who delights in creating polished, well-crafted blue-eyed funk and lyrics of an optimistic nature, and showing the listener that that too can be an art form. After all, not everybody wants to be Scott Walker – even despite the Brel-like quality of some of Carrack’s recent releases. 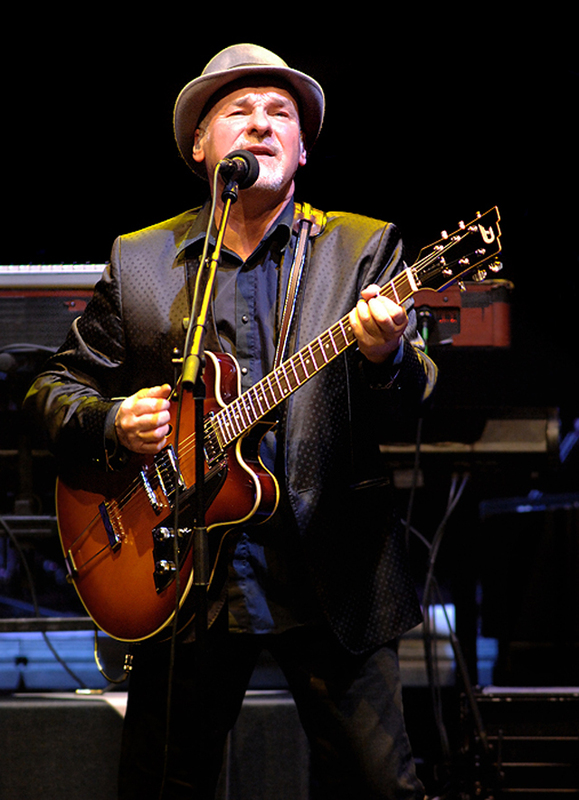 The insertion of ‘Tempted’ moderately early into the set shows that he’ll never forget his roots, nor his gratitude to Difford and Tilbrook for such a milestone in his career: his voice may be deeper now than it once was, and he makes many self-deprecating references to it throughout the evening, but the fact remains that very few people can do this quite as well as Carrack. He brings a new level of soul and gravitas to Bruce Springsteen’s ‘If I Should Fall Behind’ (in the Boss’s hands circa 1992, a slight song from, let’s face it, a slight album) that it hitherto lacked, and even makes (yes, it had to happen) MOR soft rock milestone/millstone ‘The Living Years’ sound palatable largely by, again, concentrating on its rhythm, backbeat and heart rather than the ostentatious overproduction which both clogged and cloyed the original. His band, particularly his son Jack Carrack on drums and the sparkling Steve Beighton on saxes, are as tight yet laid back as it’s possible to be - and as for his own musical dexterity, switching from guitar to Rhodes piano to melodica to percussion with not so much as a sigh of effort, the word ‘impressive’ doesn’t even begin to do him justice. Yet at no point did the ensemble wander into self-indulgent blues jamming (not the same as the exploratory journeys of prog rock, before anyone accuses me of hypocrisy), remaining true to the spirit of the pub era which first cemented his reputation. In fact, there were certain segments where, if you closed your eyes, you could have easily believed you were in The Tally Ho, Bridge House or Fountain circa 1974 and NOT in a state of the art Home Counties theatre in 2013 after all – which to me is the ultimate accolade. You’d think he might be tired of ‘How Long’ – pub rock’s first ever (and for quite a while only) hit single – by now, but he certainly doesn’t sound it: his vocal still quavers with every inch of the passion of the original. I myself will never be tired of it – as far as I’m concerned, it should be mandatory listening in classes for those wishing to understand the nuts and bolts of a perfect four minute pop-rock song. It also got the audience on its feet for the first time since doors opened: sadly, the climax was somewhat ruined by its being followed by ‘Over My Shoulder’, a song I didn’t like back in the 90s and still don’t like now, but in a way, that was a blessing – at least I got to leave a few minutes ahead of the queues. Nice to know that he was thinking of me. This entry was posted in All Posts, GIG REVIEWS and tagged Ace, Aylesbury, gig, Mike & the Mechanics, Paul Carrack, pop, review, rock, singer, songwriter, soul, Squeeze, Waterside Theatre. Bookmark the permalink.